"Unique, 3D, customized icons and wallpaper." 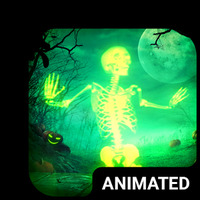 App description: Enjoy a 3D animated theme for CM Launcher and add a unique touch to your Android thanks to its alien spider inspired images. Functions: It has all of the CM Launcher functions. It has the options to organize the icons by type on its 360 degree wallpaper. Graphics: Besides its attractive interactive wallpaper, you can modify all of the game icons and apps till you achieve your desired look. Languages: English, Spanish, Italian, French, German, Portuguese, Russian, Chinese & Japanese. Platform: Smartphones and tablets with Android technology. Rating: The TOP 1 Most popular themes in Space Theme category. Gives a unique touch to your mobile. Presents errors on some devices. 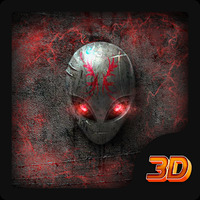 Do you like Alien Spider 3D Theme? Add this galaxy skin to your Android keyboard! 3D live wallpaper with a blue background, lockscreen, and icons. A theme inspired in the mysteries of space! Get this cool space theme and weather widget! This launcher has an out-of-this-world look!